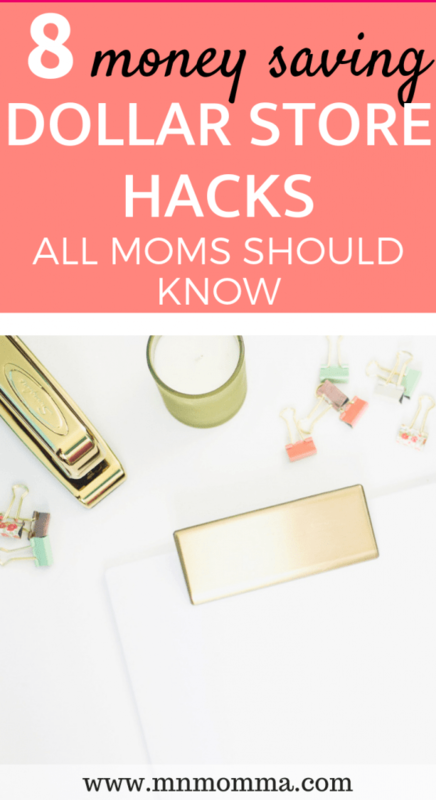 Have you been looking for some great parenting hacks that are also budget friendly? Having a new baby can make you look for helpful hacks ANYWHERE. 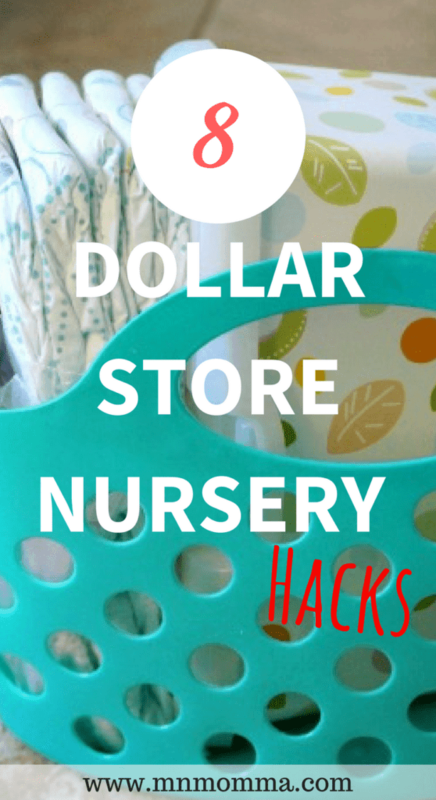 However, these dollar store hacks for new parents are easy and sure to wow you! 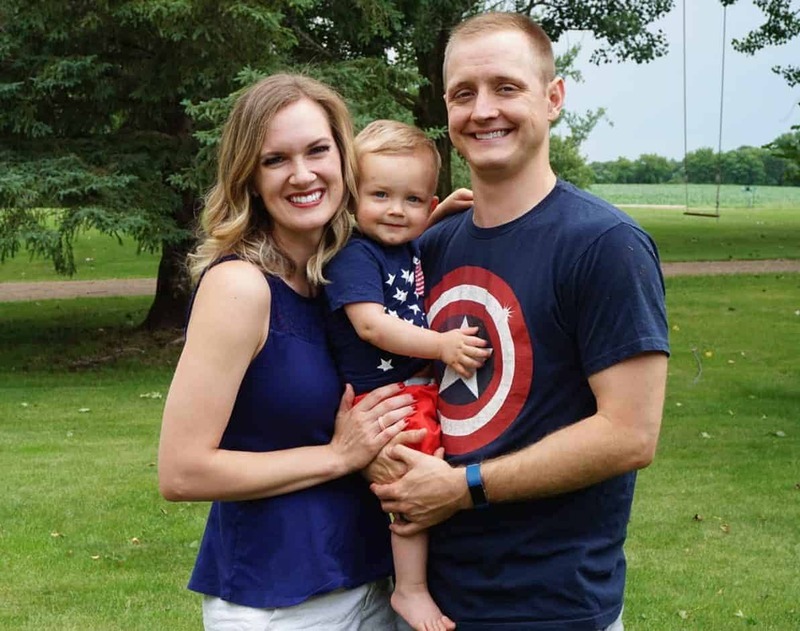 If you’ve read my post How I Saved Over $100 on Baby Clothes, you know that I love a good sale! That being said, I don’t want cheap junk lying around my house either. I want that happy medium where quality meets frugal – is that too much to ask? 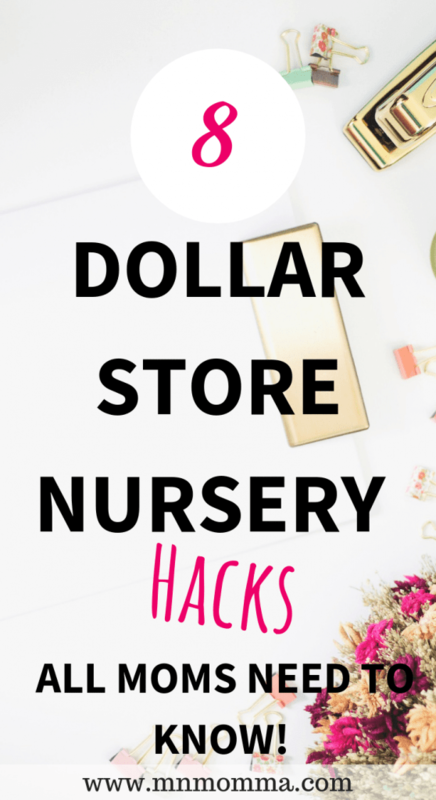 These dollar store hacks for your baby’s nursery are inexpensive and will help keep your nursery beautiful (yes, I said that about dollar store items) and organized! For many of the hacks below, I’ve also linked similar products from Amazon if you prefer to shop online. Most are a little more than a dollar, but there’s something to be said about not having to leave the house for these products (and getting them in 2 days if you have Amazon Prime!). 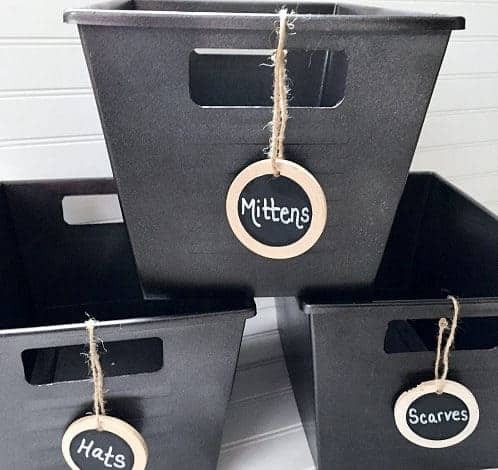 How cute are these “metal” storage bins? Grab some plastic bins from the dollar store and spray paint them for a unique look. Adding the little signs goes a long way to personalize the look and make it appear more high end, and less like a dollar store hack. 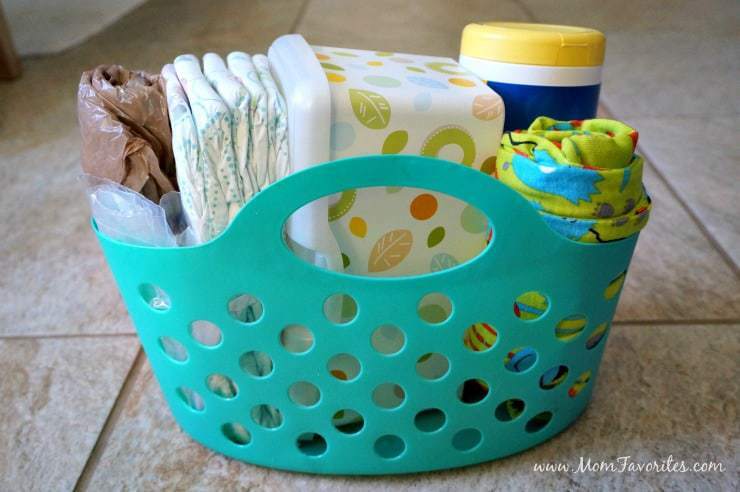 These are perfect baskets for receiving blankets, toys, or bath supplies. Click here for the full “how to” from Lemons, Lavender, and Laundry! 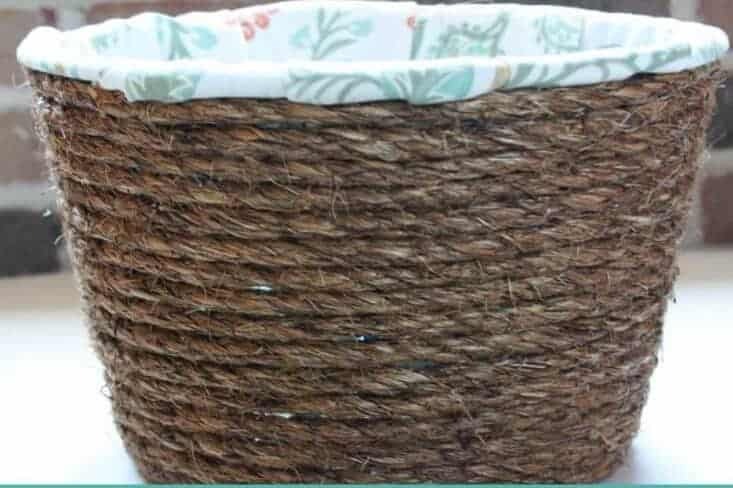 Whether it’s a hamper, a blanket bin, or toy bin, wicker baskets just help your home look clean and organized. I’ve seen this same dollar store hack applied to diaper boxes as well! For all the details and the “how to”, check out Busy Bliss here! As a mom, I’m sure you’ve seen those adorable chalkboard signs. Some moms use them as props for weekly or monthly photos – during pregnancy or for their little one. You’ll also see them as a description for your kid’s or baby’s birthday. I’ve never actually owned one, but after seeing how simple and cute this is, I’m adding it to my DIY list! 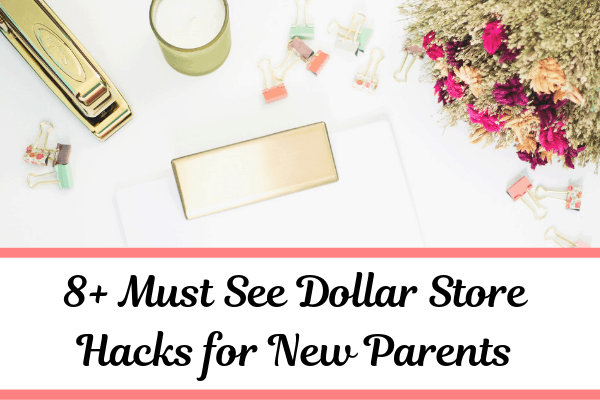 This dollar store hack for new parents is a MUST! To make things even easier, grab chalkboard spray paint. Love of Family & Home knocked it out of the park with this dollar store hack – check out her “how to” here! 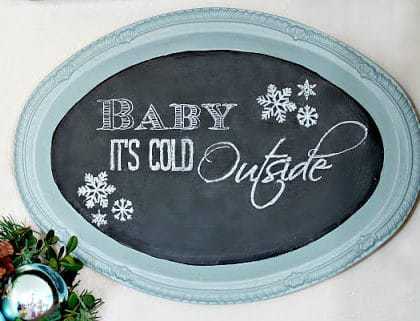 Creating a cute sign like this one with your dollar store chalkboard would be adorable! If you’re not so sure about your penmanship, Let’s Engrave It customizes these and sells them on Etsy! 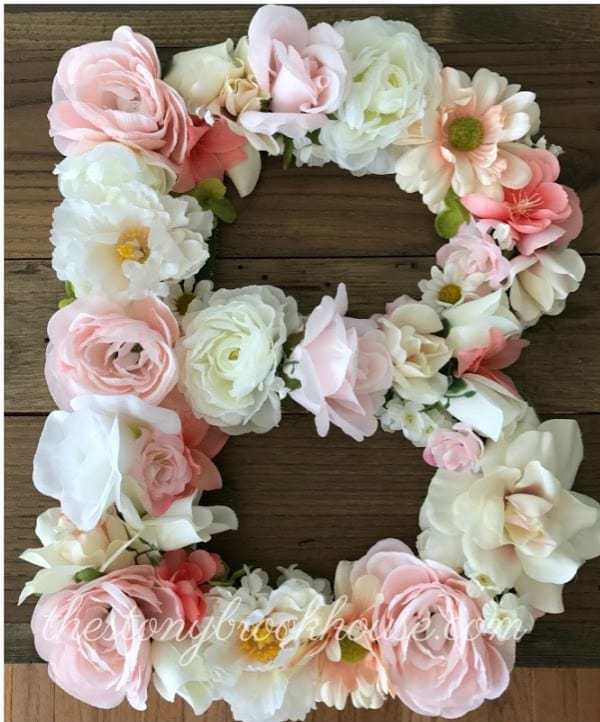 These floral letters are gorgeous for the little girl in your house and even better as nursery decor. 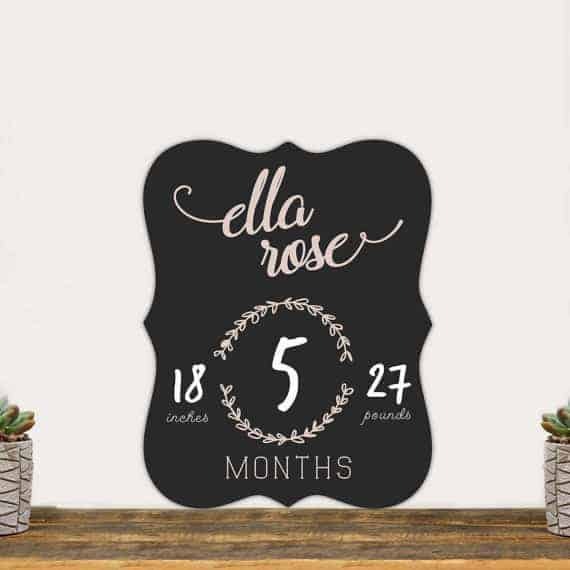 Easily create a beautiful monogram made just for your little one! Personalize it with her favorite colors and your favorite font. The Stony Brook House also shows using a floral letter as baby shower decor. It’s beautiful! For the “how to” and more pictures, click here! Let’s face it, sometimes you just forget your diaper bag at home. I can’t be the only one, right? 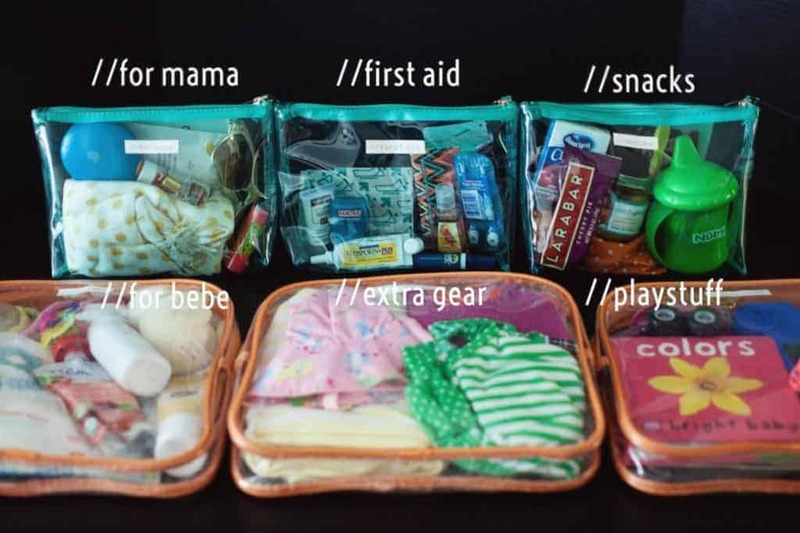 Create an emergency diaper changing kit that you can leave in your car for those “whoops” moments! This kit is also the perfect idea for having a simple, organized, changing station located in another room of your house. 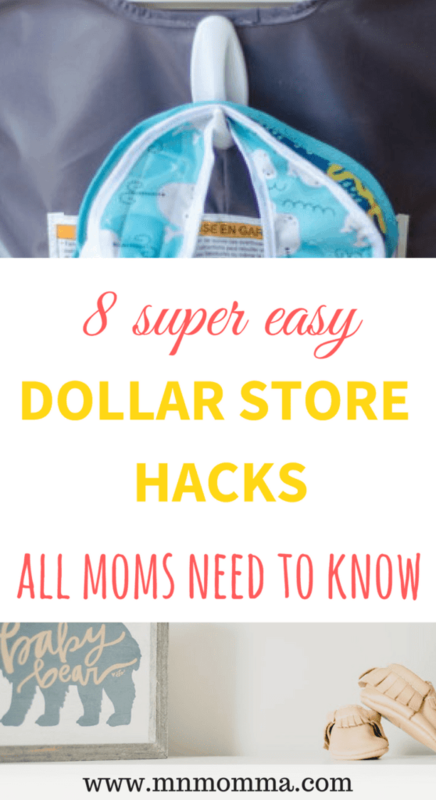 Trust me – I’ll be using this dollar store hack for new parents ALL over my house. If you’re looking to make a few of these, Amazon has a 3 pack for a great price. 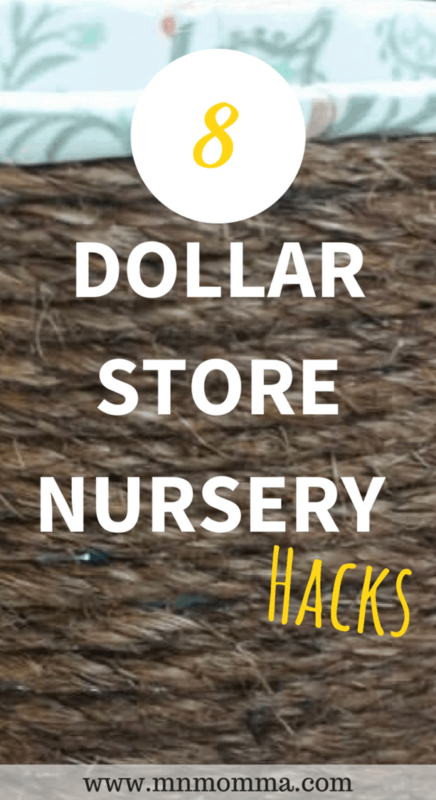 Check out Forks and Folly’s DIY dollar store hack here! I can’t be the only one whose diaper bag (and purse) just tends to fill and fill and fill. These organizers can make finding what you need a breeze and make sure nothing accidentally falls out or gets lost. Here’s a 5-pack from Amazon! Kathryn from Kid to Kid offers the easy “how to” here! This is genius. And so. Darn. Simple. 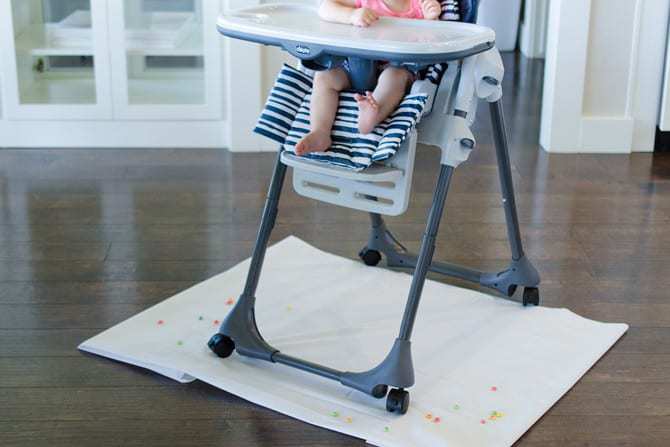 Add a command strip hook to the back of your baby’s high chair as a storage place for bibs. Never worry about stashing the bibs in your cupboard again, and always have one at your fingertips. 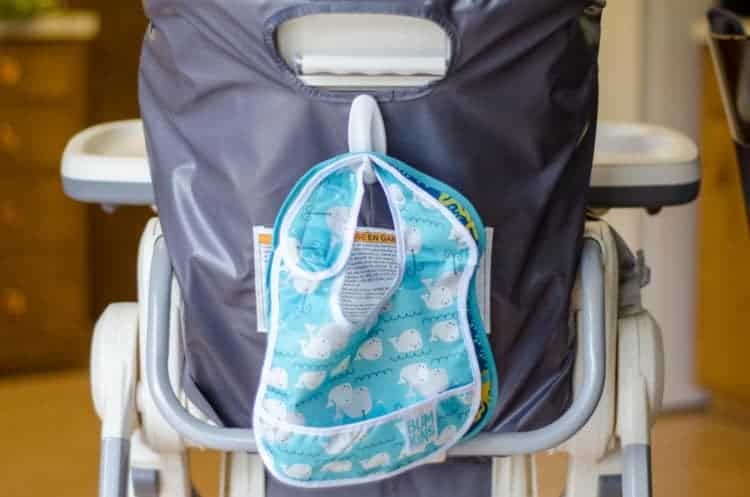 Psst – these bibs are hands down our absolute favorite – especially if you’re doing baby led weaning! You can grab two of these hooks from Amazon right now. The Krazy Coupon Lady was all over this hack (and more) here! My baby can’t be the only one who loves experimenting with dropping his food, right? This shower curtain hack makes cleaning up a breeze. This is especially helpful if you do baby led weaning (find our baby led weaning must haves right here), and your little one is in charge of feeding himself. A paint drop cloth also works great – this one from Amazon is comes as a pack at a great price! If you’ve been looking to create a simple and gorgeous flower nursery for your baby – look no further! 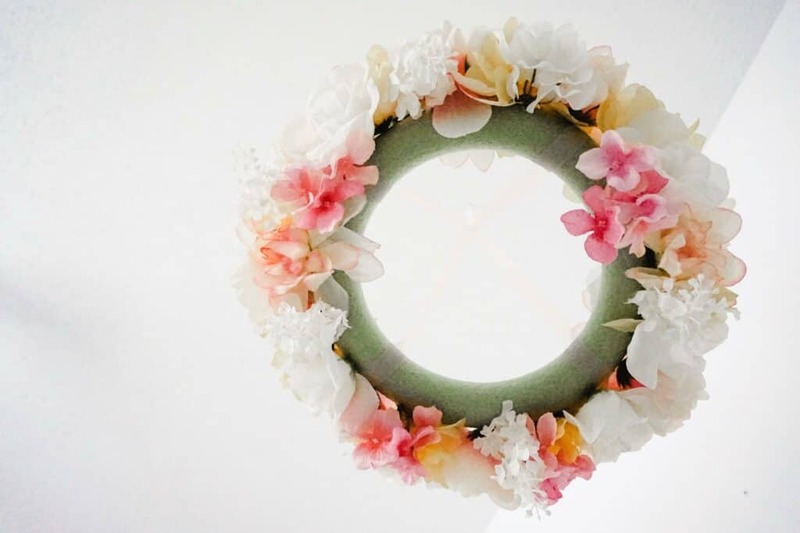 If your nursery ideas for a baby girl include one of these floral mobiles – they can get pretty spendy online. This one was made ONLY with dollar store products and took less than 2 hours! Check out the full tutorial from Minnesota Momma’s DIY Mobile for Baby! 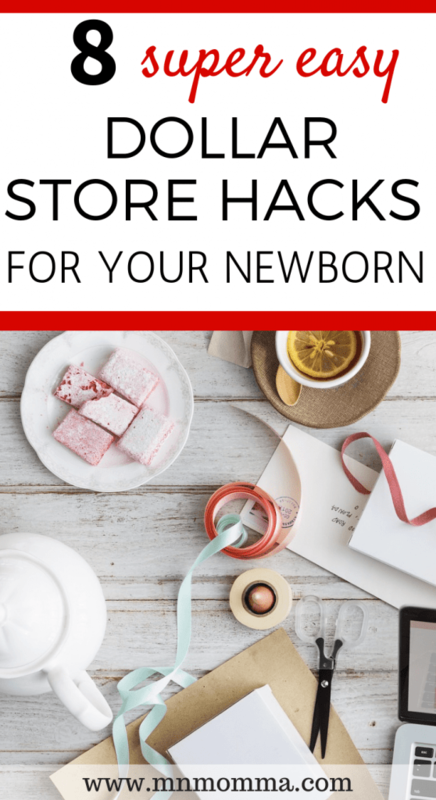 Whether you’ve been hoping to keep your baby’s new nursery on a budget, or you just want some cheap and easy new parent hacks – these dollar store hacks for new parents are the best. If you enjoy DIY hacks, be sure to also check out my Ikea Nursery Hacks Roundup! Have more to share that I missed? 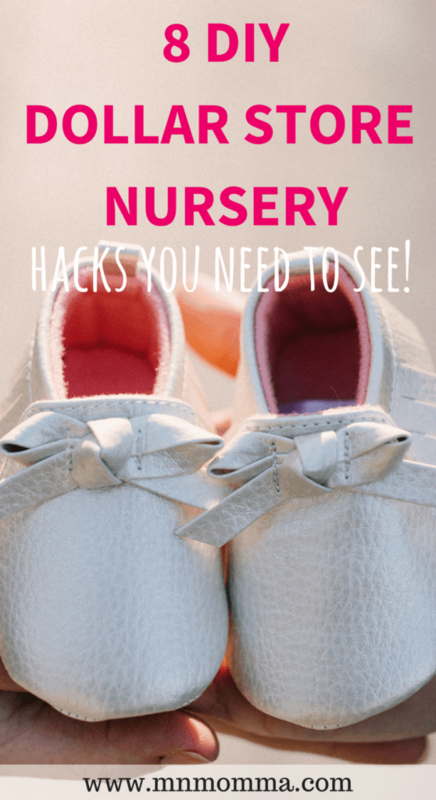 Let me know in the comments below or grab your copy of the Top 5 Things You Need to Get Started DIY-ing Your Nursery by clicking below! <— Pin it for later!